Bitcoin and the other cryptocurrencies are trendy for the last few years. That is the reason why also Planet Express accepts bitcoin as a payment method. There is a lot of solution for business owners how to accept bitcoin. For example, we use Bitpay which is probably the best solution how to accept bitcoins. The problem of Bitpay is that we can receive only bitcoins, not other cryptocurrencies like litecoin, ethereum and the others. 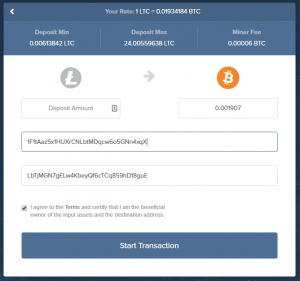 But there is a very easy way how to make a deposit using by litecoin or any other cryptocurrency. Let’s say that you have litecoins and you want to add deposit into your Planet Express account. First of all, contact our customers support and ask them to for a bitcoin payment request, for example for $20. Once you click on the link in the payment request you will be redirected to Bitpay where you will see how much and where to deposit. 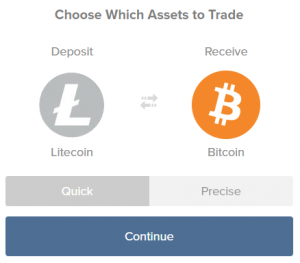 Now we need to exchange your litecoins to bitcoins so go to ShapeShift.io and choose which currency do you want to exchange to bitcoins. In our case it’s litecoin to bitcoin. 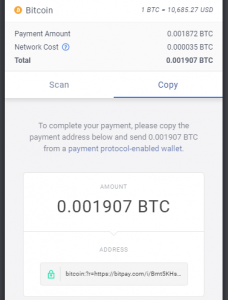 In the section how much do you want to deposit, fill the same amount, like Bitpay requires. Now you can see how many litecoins are required. So just send litecoins to provided address and that’s all. Everything else is fully automatic. 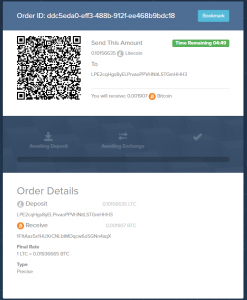 With these steps, you can also add deposit using by another cryptocurrency if ShapeShift.io does support this crypto. There are also another crypto exchanges so it’s just on you which you will use. We are also working on a direct way how to support the other cryptocurrencies for direct deposits without using any exchanges.